R.O.W.V.A. is an acronym for five small towns in Knox County, Illinois, consolidated to make up the R.O.W.V.A. Community School District #208. R.O.W.V.A. stands for Rio, Oneida, Wataga, Victoria, and Altona. The R.O.W.V.A. Fighting Tigers are known for their music and sports programs. R.O.W.V.A. High School is also known for having the highest test scores in Knox County, and in the State of Illinois. R.O.W.V.A. 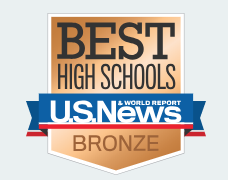 is nationally ranked and was recently awarded the U.S. News & World Reports Bronze Award for Best High Schools for years; 2018, 2017, 2015, and 2014.